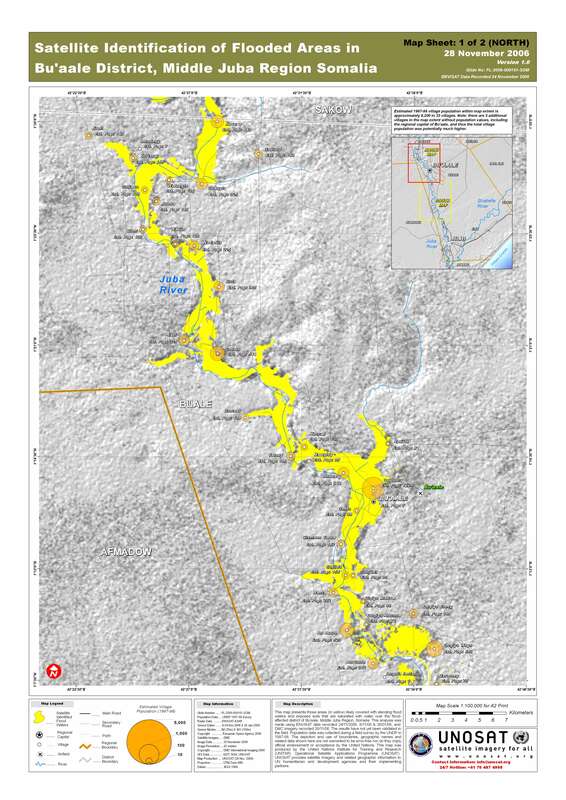 This map presents those areas (in yellow) likely covered with standing flood waters and exposed soils that are saturated with water over the flood-affected district of Bu'aale, Middle Juba Province, Somalia. This analysis was made using ENVISAT data recorded 24/11/2006, 8/11/06 & 26/01/06, and DMC imagery recorded 26/11/06. The results have not yet been validated in the field. 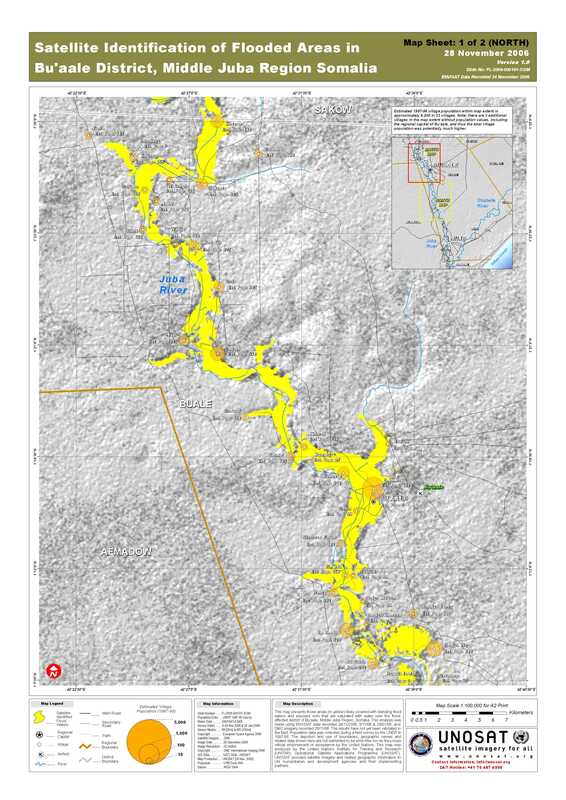 Population data was collected during a field survey by the UNDP in 1997-98.